The Orthodox Christian Fellowship (OCF) announced today that applications are being accepted for the position of Student Advisory Board (SAB) Advisor. This volunteer position is for a motivated person interested in serving the Orthodox Church as a coach, mentor, and facilitator of the determined and passionate group of college students who serve on OCF’s Student Advisory Board. Interested candidates may download a Job Description from OCF’s website, www.ocf.net. They may apply for the position by sending a letter via email or postal mail to Jennifer Nahas, OCF Executive Director (Jennifer@ocf.net), at the North American office. The letter should contain the applicant’s educational, ministerial, and other work history; any relevant general and campus ministry experiences; their vision for Orthodox campus ministry and what motivates them to seek the position. Applications must be postmarked or emailed June 15, 2012. For further information, please contact the OCF office at 800-919-1623 or info@ocf.net. Katerina is succeeding Zena Debs, 2011-2012 Student Chairperson. Zena has just graduated from the University of Connecticut with a degree in Public Relations. She has been instrumental in promoting growth in programming, initiating change within the SAB structure, and updating the OCF Chapter Guidebook. 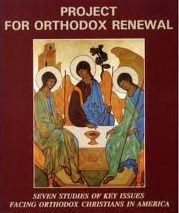 Orthodox Christian Fellowship (OCF) is the official collegiate campus ministry program under the North American Assembly of Canonical Orthodox Bishops. Our mission is to support fellowships on college campuses, whose members experience and witness to the Orthodox Christian Church through community life, prayer, service to others and study of the Faith. Our headquarters is located in Brookline, Mass. and supports more than 300 local university chapters across North America. In addition, we provide a variety of thoughtful and innovative programming, including regional training, annual conferences, and domestic and international service learning programs. 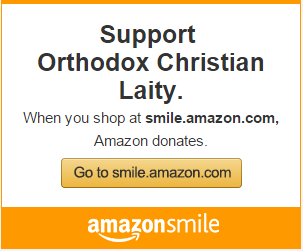 OCF is a 501(c)3 non-profit organization and the official campus ministry of The North American Assembly of Canonical Orthodox Bishops.